As we all know, this Roman Catholic false prophet David Meade predicted the end of the world on September 23. It obviously failed as students of prophecy expected. And just 24 hours before it was expected to fail, Meade quickly admitted to all his subscribers that he made a mistake and then changed the date for the end of the world, or the so called start of the seven year tribulation start point to October 15. It is now October 20th, we're obviously still here and since his proven Jesuit contrived false prophecy of a seven year tribulation was only capable of starting when the secret rapture which was also invented by the Jesuits was to occur. As we all know, everyone is pretty much still here with the exception of the normal birth and death rate of planet earth since day one. And speaking of planets. 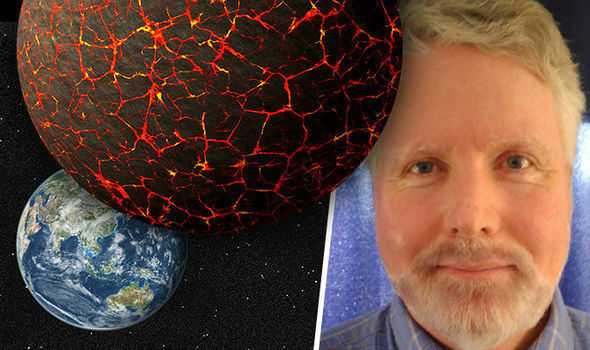 David Meade has also predicted a massive planet some believe to be the size of our solar system, while others believe it to be a mere 80 times the size of Jupiter, which happens to be 11 times greater than earth and the largest planet in our solar system. Being that it is October 20th, and besides the fact that none of David Meade's prophecies have absolutely any biblical basis in fact or even historic for that matter, let's humor him for a moment and assume a massive planet will hit us tomorrow. If that were true, and if we use common sense as afforded most who can read, this entire solar system would have ceased to exist decades if not centuries ago if a planet that size would have been close enough to hit us tomorrow. The gravitational pull alone would have destroyed everything from the Sun to Pluto long before anyone would have known it was out there. And so again., I plead with everyone hitting the videos about October 21, Planet X or Nibiru who are filled with fear about the end of the world coming on October 21; open your Bibles and discover the promised peace Jesus Christ was speaking of for those that accept Him for who He is, and this as Lord, King and Saviour. Because when you allow the lies of Satan to have any say so in your lives, then fear, which also comes from Satan is your just deserts!